Dogs will love to brag on Mother's day and every day in this I Have The Best Mom Ever Dog Shirt! 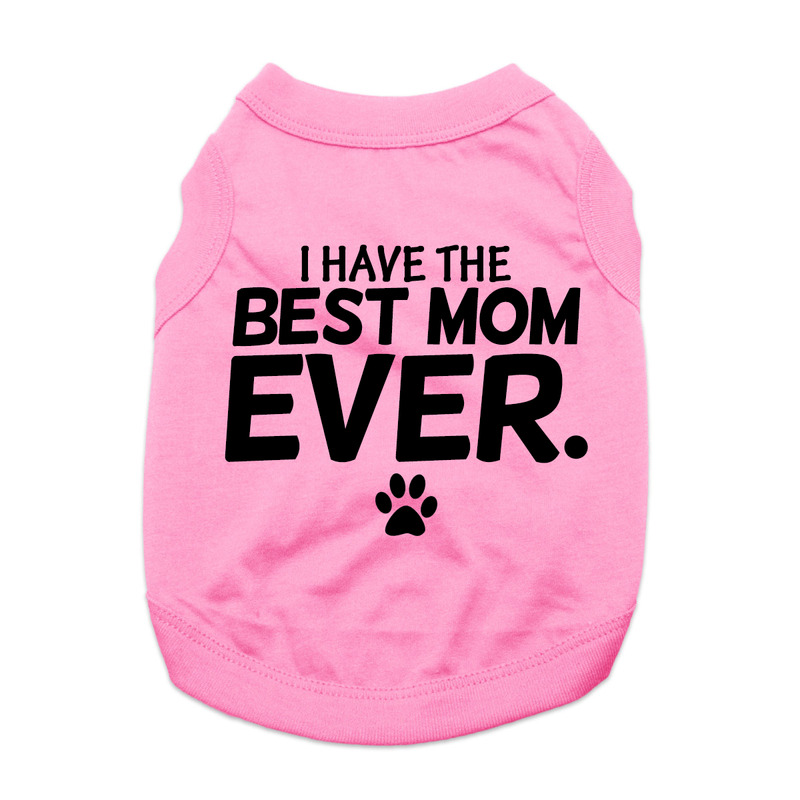 The I Have the Best Mom Ever Dog Shirt will show off your dog's love for mom! This dog tank top features a sleeveless and a high-cut, stay-dry belly for the ultimate in comfort and convenience. This exclusive design is custom printed in our BaxterBoo.com T-shirt shop. The breathable shirt features a soft, breathable 100% cotton knit. Machine wash cold and dry flat for best results. Great for a gift! 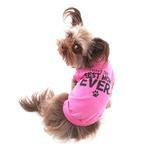 I Have The Best Mom Ever Dog Shirt - Pink Customer Photos - Send us your photo! Lilly loves her new tee! Aria is a 4 month old Maltese, weighing 4 pounds. This shirt is a size small. It's super cute on her, and one she wears a lot! Posted On 02/04/19 by Nikki from Gaylord , MI Yes, Nikki recommends this product! Lilly has a closet full of these tee’s, but this one is especially cute. Thanks for carrying clothes for large pups. Posted On 11/17/18 by Brianna L from , Yes, Brianna L recommends this product! Posted On 06/12/18 by Tanya Maria Word from Salisbury, NC Yes, Tanya Maria Word recommends this product! I love shopping with Baxter Boo and this shirt is so cute on my Luna. She hasn’t worn it yet, I tried it on her and it fit perfect. Posted On 08/26/17 by Shari B from , Yes, Shari B recommends this product! Very nice shirts because the armholes are finished as nicely as the neck. Posted On 07/08/17 by Sandra P from palm Bay, FL Yes, Sandra P recommends this product! Posted On 05/14/17 by rebecca w from Madison, IN Yes, rebecca w recommends this product! Posted On 05/12/17 by lynne s from East Moriches , NY Yes, lynne s recommends this product! Great quality tank and awesome for Mother's Day! I wanted to thank you for making sure my Christmas present to our dog was received on time. Your service was amazing. Our dog was adorable wearing the cute jacket I purchased and I am glad she was able to wear it a few times before passing early this year. Thanks for the great service.